This evening, Calhoun College of Yale University will have a special ceremony to officially dedicate the dining hall in memory of Roosevelt Thompson. 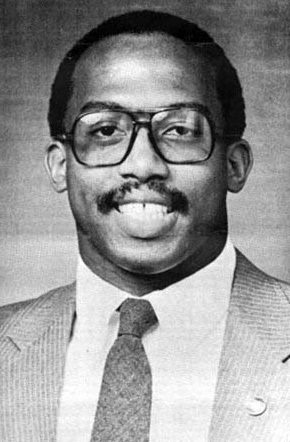 Thompson, who had been named a Rhodes Scholar, was killed in a traffic accident in March 1984 during his senior year. He was returning from a visit to his hometown in Little Rock. An undergraduate prize for public service is named in his memory. Recipients of the Roosevelt L. Thompson Prize are Yale College seniors judged to be outstanding for dedication to public service–service to “the team, the college, the community” and exemplify great human warmth, commitment to fairness, compassion for all people, and the promise of moral leadership in the public sphere. Yale has produced a video about Thompson, which can be seen here. Thompson was an outstanding student while at Little Rock Central High School. His funeral was held in the auditorium there, which has since been named in his memory. Among those who attended his funeral were Governor and First Lady Clinton. Gene Lyon wrote an obituary for him which appeared in an April 1984 issue of Newsweek. In addition to the Central High auditorium, a west Little Rock CALS library branch is also named in his memory. Born on January 28, 1962, to the Reverend C. R. and Dorothy L. Thompson, he was active in school plays, the school newspaper, and various academic groups, and he was named the All-Star player on the football team in his senior year, during which he also served as student-body president. He went on to become a National Merit Scholar. The 1980 Pix yearbook is filled with images of him. He continued to make a lasting impact at Yale. In 2015, a movement started to rename Calhoun College in his honor. The feeling was that John C. Calhoun, as a slaveholder, was not a worthy eponym for the college. While the university trustees opted to not rename the college, the head of the college used her prerogative to name the dining hall in his memory. As a student of Calhoun College, Thompson spent much time in this selfsame dining hall. Roosevelt Thompson was a gifted young man who had a bright future in public service before his death in an automobile accident in 1984. In honor of the 35th anniversary of Thompson’s graduation from Little Rock Central High School, the Butler Center, a department of the Central Arkansas Library System (CALS), will present a special Legacies & Lunch program, co-hosted by the Clinton School of Public Service, on Wednesday, June 3, from noon-1 p.m. at the CALS Ron Robinson Theater, 100 River Market Ave.
At Central High School, Thompson was student body president, an All-Star football player, and a National Merit Scholar. Thompson went on to attend Yale University, which has established a prestigious prize in his honor. While at Yale, he was selected as a Rhodes Scholar. At this special Legacies & Lunch program, co-hosted by the Clinton School of Public Service, historic video footage featuring Thompson, Bill and Hillary Clinton, and others, will be shown. A panel, including Elaine Dumas, one of his teachers and mentors; Lee Thompson, his brother; and Beth Felton, his classmate at Central and a staff member at the CALS Roosevelt Thompson Branch Library, will discuss how his memory lives on today. Following this discussion, attendees may share memories and ask questions. After the program, all are invited to send their thoughts to RememberingRosey@cals.org. Legacies & Lunch is free, open to the public, and sponsored in part by the Arkansas Humanities Council. Attendees are invited to bring a sack lunch; drinks and dessert are provided. For more information, call 501-918-3033. In addition to the film, the website features an interview of the filmmaker Katrina Whalen. Jay Jennings, who edited Escape Velocity: A Charles Portis Miscellany chats with Ms. Whalen about Portis and the process of making films. Whalen worked in production for directors Charlie Kaufman (Being John Malkovich; Adaptation; Synecdoche, New York) and Julie Taymor (Titus; Frida; Broadway’s The Lion King) after her undergrad education at Yale. She then enrolled in graduate school at New York University. Jennings is a freelance writer whose journalism, book reviews, and humor have appeared in the New York Times, the Wall Street Journal, the Los Angeles Times, the Oxford American, and many other newspapers and magazines. To see the film, which features Peter McRobbie and Richard Marshall, visit the OA website. This month, the Architecture and Design Network features Billie Tsien, AIA, NCAARB, FAAR of Tod Williams Billie Tsien Architects of New York City. Ms. Tsien’s lecture will take place tonight in the Arkansas Arts Center lecture hall. Her remarks will begin at 6pm following a reception at 5:30. Born in Ithaca New York, Billie Tsien received her undergraduate degree in Fine Arts from Yale and her Master in Architecture from UCLA. Currently, in addition to practicing, teaching and lecturing, she serves on the advisory council for the Yale School of Architecture. 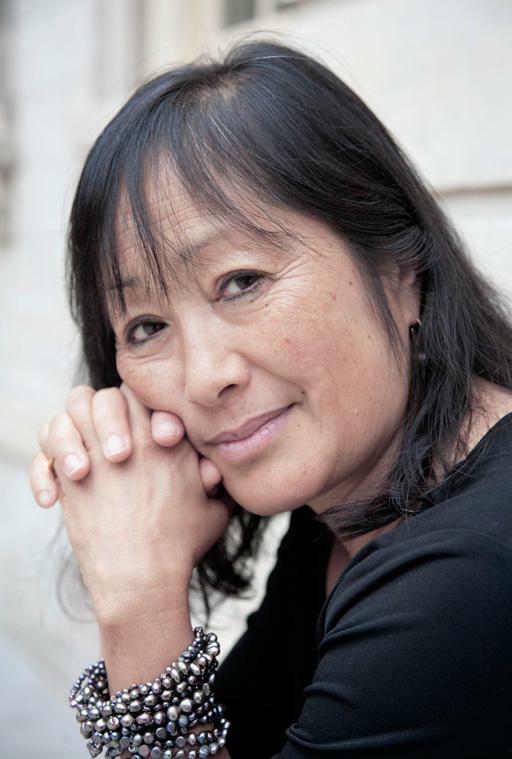 In 2007 Tsien was elected to the American Academy of Arts and Sciences and the American Academy of Arts and Letters. Tsien and her husband Tod Williams have been working together since 1977. Their firm, which operates out of a small, unpretentious studio on Central Park South in New York City, has earned wide acclaim for its work. This past December, the American Institute of Architects awarded the firm its prestigious 2013 Architecture Firm Award in recognition of work that “reveals a contemporary sensibility and intelligence.” Given annually, the award is the highest honor the AIA bestows on a firm. It recognizes a practice that has consistently produced distinguished architecture for at least ten years. Their recently completed, 93,000 square foot museum in Philadelphia, designed for the Barnes Foundation, has drawn critical acclaim from many sources. In January, the AIA gave it a 2013 Institute Honor Award for Architecture. The new facility replaces the original one in Merion, Pennsylvania, established by Dr. Albert C. Barnes in 1922. A challenge to its designers was to replicate the original 12,000 square foot main gallery, replete with art as arranged by the late Dr. Barnes himself. And they did. Supporters of the Architecture and Design Network, a non-profit organization, include the Arkansas Arts Center, the University of Arkansas Fay Jones School of Architecture and the Central Arkansas Chapter of the American Institute of Architects. The Mosaic Templars Cultural Center, a museum of the Department of Arkansas Heritage, welcomes world-renowned physicist Dr. Oliver Keith Baker for a Arkansas Black Hall of Fame Distinguished Laureate Lecture tomorrow. Dr. Baker, a McGehee native , will lecture on his ground-breaking research on particle physics, also referred to as Higgs Boson and the ‘God particle.’ He was inducted into the Arkansas Black Hall of Fame in 2006. Dr. Baker is a Professor of Physics at Yale University. He is also Director of the Arthur W. Wright Nuclear Structure Laboratory at Yale. To bring students, educators should contact our Education Department at 501-683-3592. The Mosaic Templars Cultural Center honors the story of the Mosaic Templars of America and all of Arkansas’s African American history. The museum is dedicated to telling the story of the African American experience in Arkansas. The Center’s name is taken from the Mosaic Templars of America, a black fraternal organization founded in Little Rock in 1883 whose headquarters sat on the prominent West Ninth and Broadway location. The mission of the Mosaic Templars Cultural Center is to collect, preserve, interpret and celebrate Arkansas’s African American history, culture, and community from 1870 to the present, and to inform and educate the public about African American’s achievements – especially in business, politics, and the arts.The center’s exhibits highlight fraternal organizations, African American entrepreneurs as well as integration.